← That Was The Year That Was! 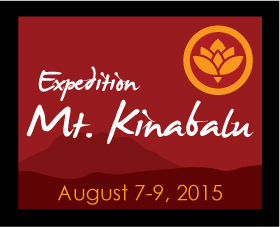 Welcome to the second annual Expedition Mt Kinabalu! On August 25th 2012, I will be part of a team of 60 international climbers who will scale Mt Kinabalu, summit of Borneo, to raise global awareness and funding for Duchenne muscular dystrophy. Duchenne is a fatal, progressive muscle wasting disease that affects one in 3,500 boys worldwide. It robs boys of their ability to walk, breathe, eat and speak, and eventually takes their lives, often before they reach age 20. It leaves their minds unaffected and full of dreams. This is a personal quest. I will be climbing for my 19-yr-old son Dusty who has Duchenne, and for all the thousands of boys who are faced with the challenges of this disease everyday. All money raised will go directly to funding promising research that will extend lives and find a cure for Duchenne. Please sponsor me by clicking on the link below, and help change the future of all the boys and young men with Duchenne worldwide. One Response to Expedition Mt Kinabalu! Horray for the second annual Expedition Mt Kinabalu, I wish you all the best Cath. God Love you too!